The Audi Q5 shares some of its structure with the A5 range, and competes with models like Land Rover's Freelander and the BMW X3 in the premium segment. After the success of its Range Rover rivalling (but heinously pricey) Q7 it was only a matter of time before Audi introduced a more accessible SUV. The Q5 is it, a mid-sized crossover that went on sale in Europe in 2008. It shares some of its structure with the A5 range, and competes with models like Land Rover's Freelander and the BMW X3 in the premium segment, plus a whole host of non-premium rivals like Hyundai's Santa-Fe. Befitting its off-road stance and Audi's links with four-wheel drive, virtually all examples of the Q5 feature quattro all-wheel drive. Not until the end of 2012 did Audi introduce a single front-wheel drive option. The engine line-up was made up of three diesel choices and a couple of petrol units - one of which is a 3.2-litre V6 - but you'll struggle to find any of the latter in the Carzone classifieds. That's for good reason; their running costs are punitive, so the 2.0-litre TDI engine is the most common, with either 143hp or 170hp (latterly upgraded to 150- or 177hp). It's a strong engine, with more than enough power and torque - in either output - to haul the Q5 along at respectable pace, though those wanting a Q5 with real urgency should look out for a 3.0-litre TDI V6, which offers 240hp (or 245hp post-2012). That V6 is only offered with a seven-speed S-Tronic automatic gearbox though, while the same transmission is an option with the higher power 2.0 TDI engine. More recently - from 2013 - Audi has offered a performance flagship in the form of the SQ5. It's powered by a 3.0 V6 TDI unit with its output bumped up to 313hp, and a more sporting chassis, interior and styling. They're likely to remain an exceptionally rare sight here though. Trim levels follow the Audi norm, so there are standard, SE and S Line variants. The standard model comes with everything you could possibly want; SE adds larger alloy wheels, heated front seats, leather upholstery and colour-co-ordinated bumpers; and S Line adds sportier styling equipment, better headlights and an upgraded interior. The 2.0-litre TDI engine is the one to go for on the second hand market, primarily as there is greater choice, but also because it's more than up to the job. There's very little difference between the outputs on economy and emissions, so pick which one depending on your budget. 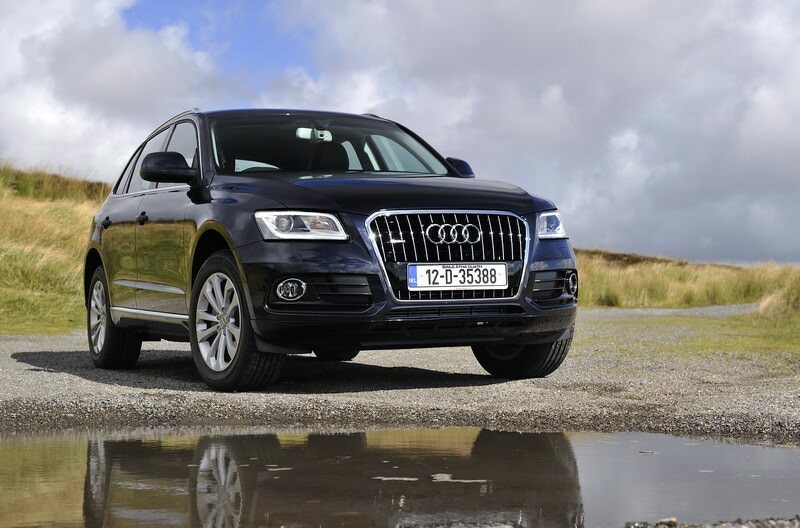 The Q5 is a classy choice in the mid-sized SUV marketplace; though it's not as fun to drive as the BMW X3 it's correspondingly a more comfortable choice. Space isn't great in the back given its size, but it is a lovely proposition if you've got the means to buy and run it.